I'm in a little bit of disbelief that I made it! 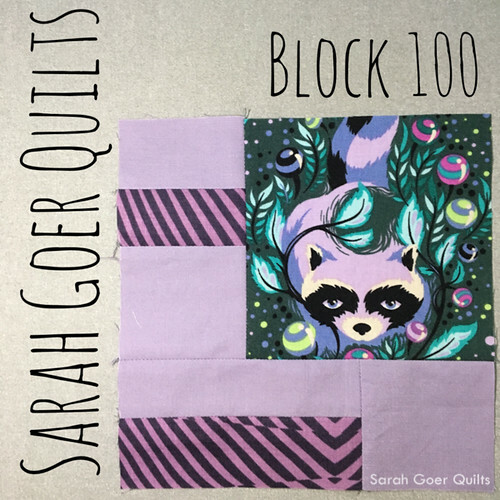 100 blocks in 100 days. 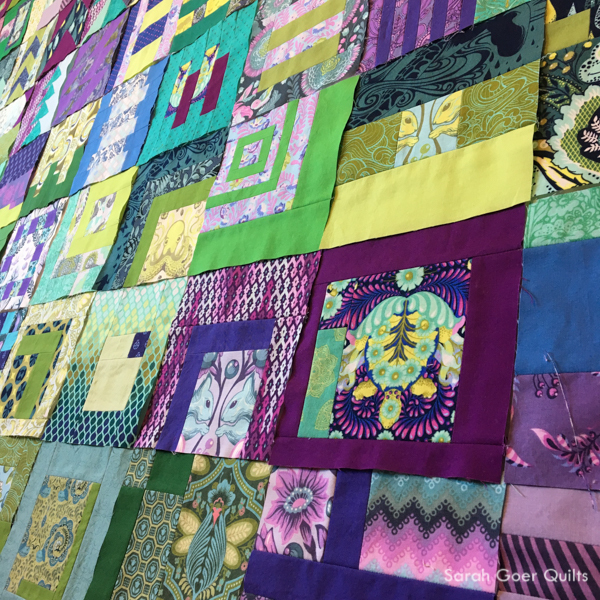 What a whirlwind... the Tula Pink City Sampler quilt along, hosted on Instagram by Angie of Gnome Angel. 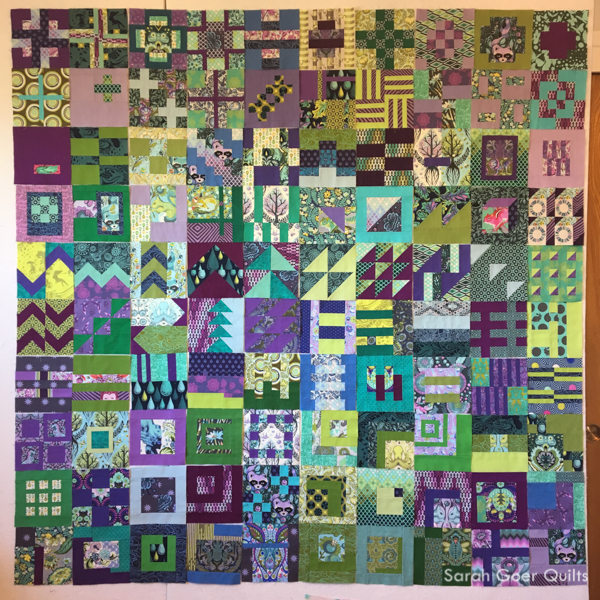 And here are all 100 together (in number order, not the order for the final quilt). 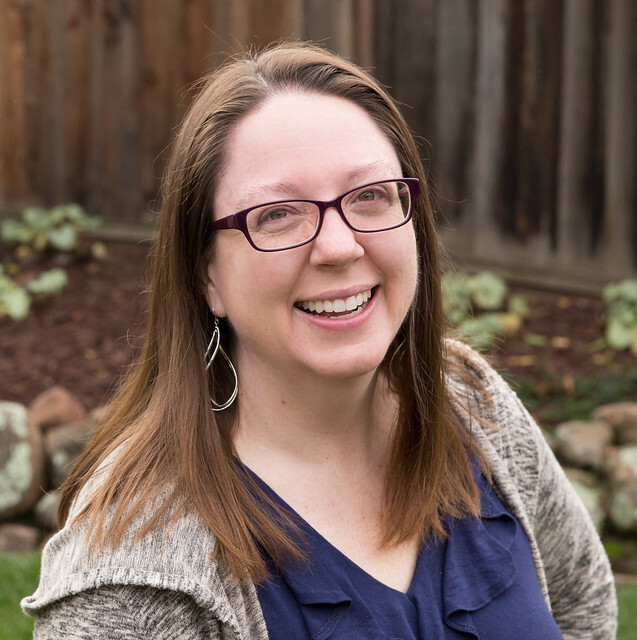 They all feature Tula Pink prints and Kona solids. I love all the cute critters sprinkled throughout the blocks. My daughter's favorite block is the one with the horses. If you haven't seen my earlier posts, check out my week 1 blocks. Posted in Quilting. 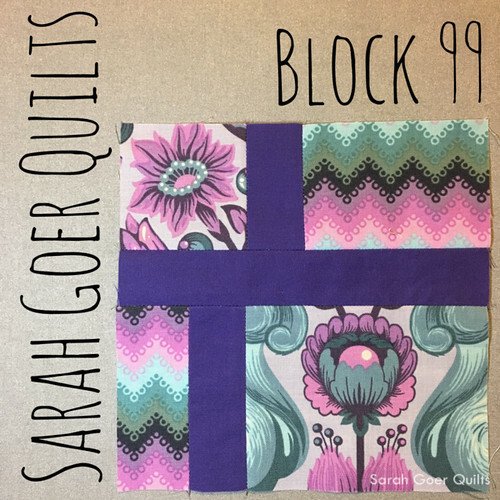 Tags: 100days100blocks2017, fussy cutting, Tula Pink, Tula Pink City Sampler on August 19, 2017 by sarah. Congrats! 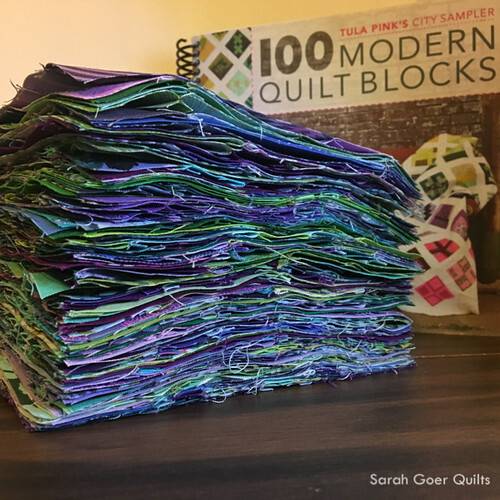 The 100 blocks look awesome together, I can't wait to see them in their final layout. Congratulations! 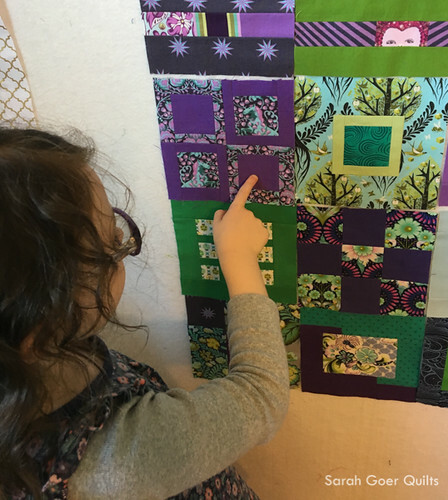 The blocks look great together and there are so many great blocks to choose from for a favorite. I think this is going to turn into a really awesome and treasured family quilt. Thank you, Yvonne. 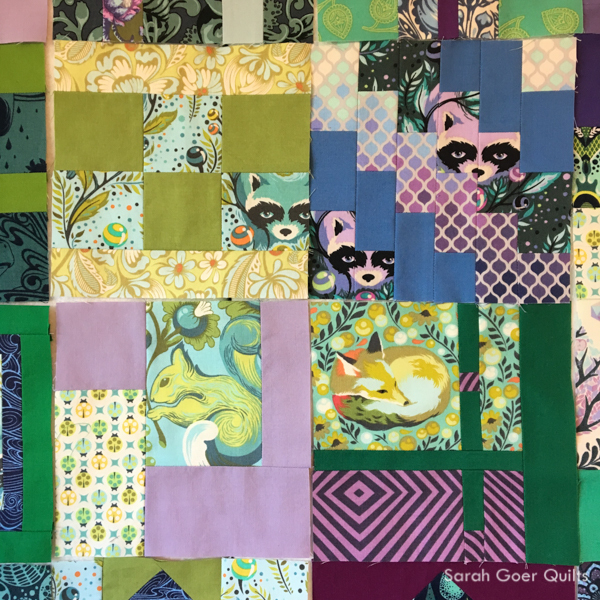 I look forward to this one being a finished quilt in my house. I'm interested in 100 blocks, is there a book for this or is it all on line? You can order Tula Pink's book on Amazon.